Situated in a little side street, just off a pretty square and within a few seconds’ walk from a parking area, this lovely village house was renovated a few years ago to make a comfortable and very attractive home. 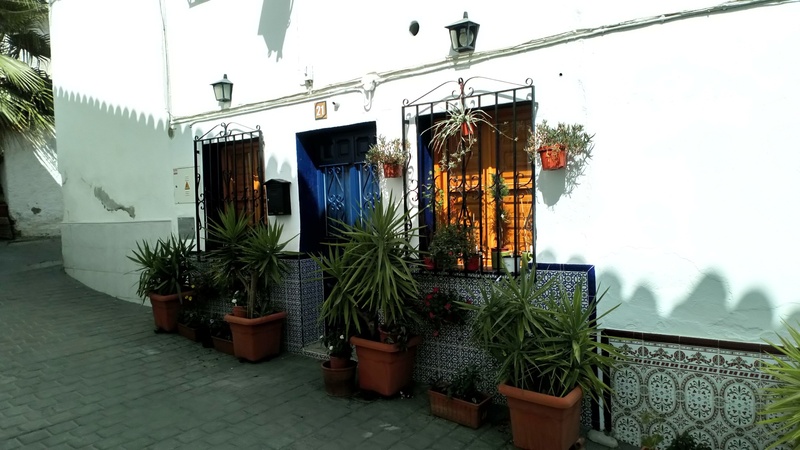 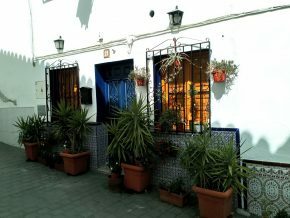 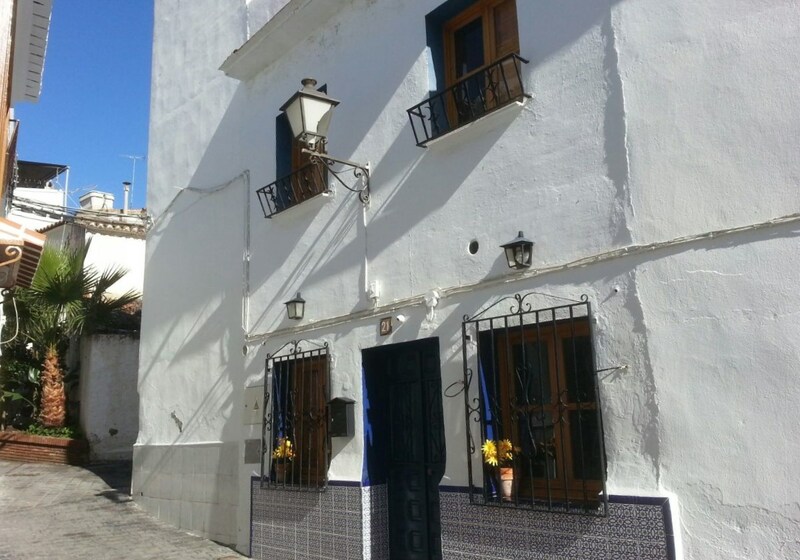 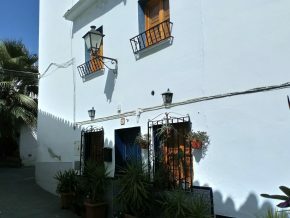 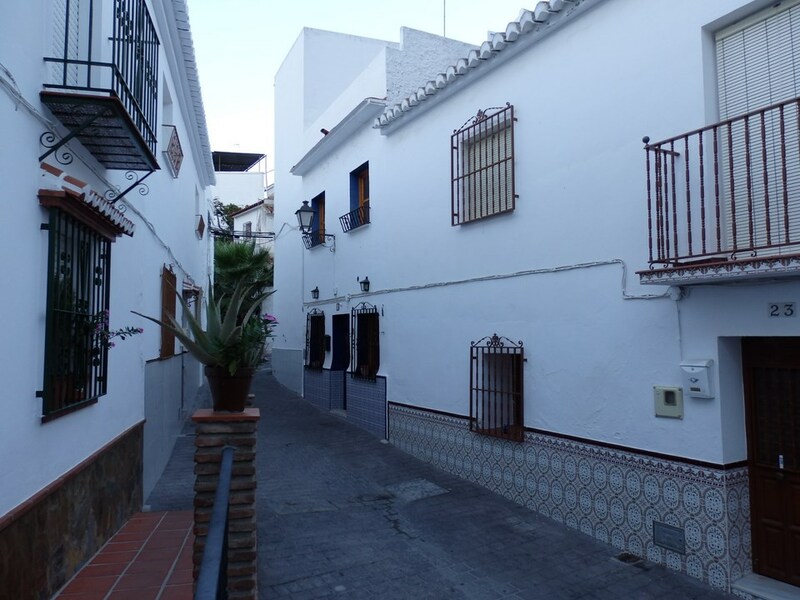 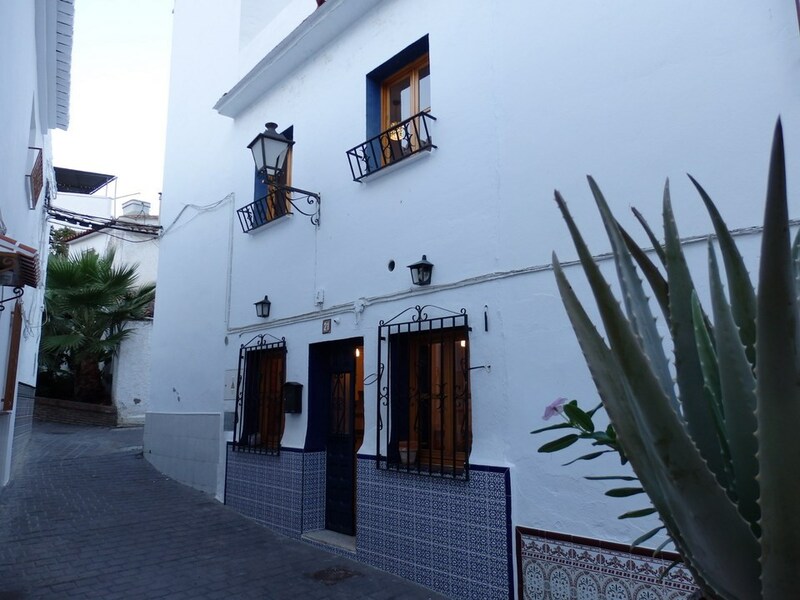 The pretty street is pedestrian, and the outside of the house has been beautifully painted, with blue inlaid window alcoves and traditional Spanish window bars. 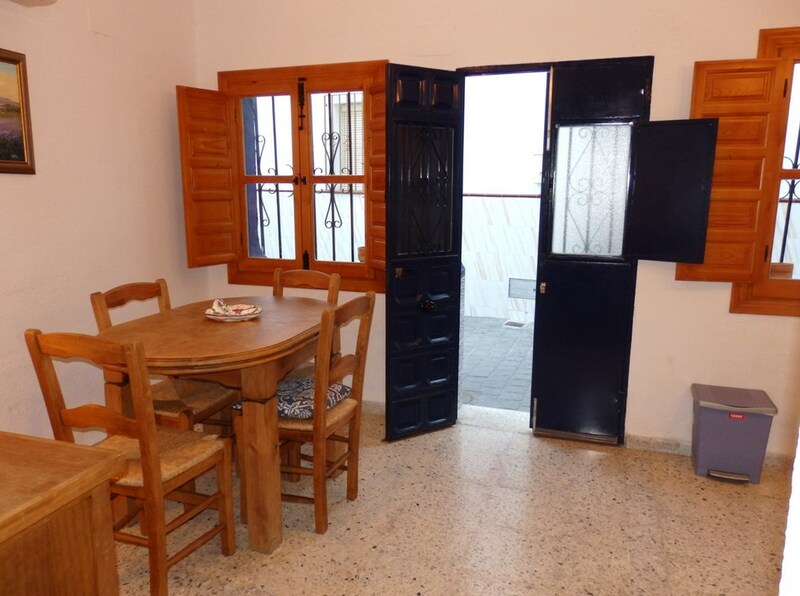 The double leaf front door leads straight into the kitchen/dining room (5 x 3m) with fitted kitchen to the left and hot/cold air conditioning unit, and dining area to the right. 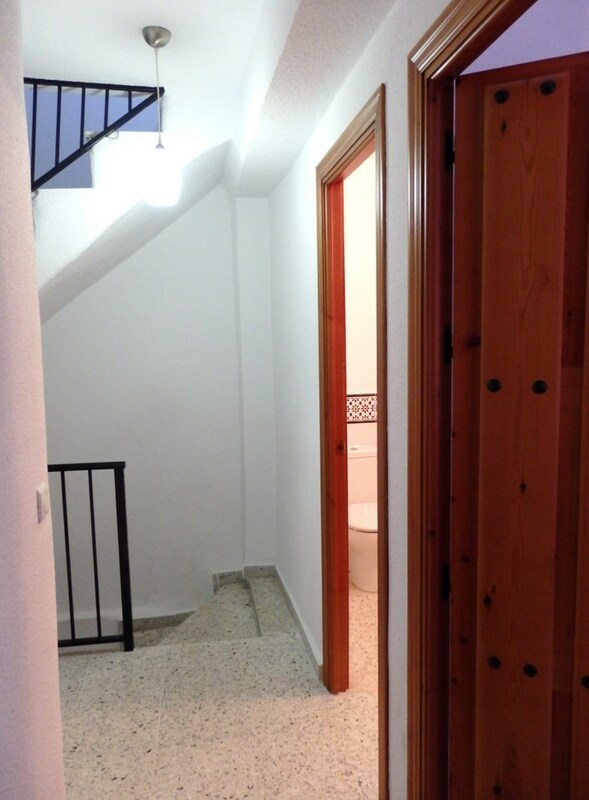 To the rear of this area is an open throughway leading into the living room (4 x 2.5m) with open slots in the dividing wall to bring maximum daylight into this area. 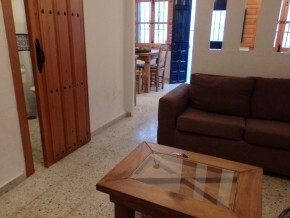 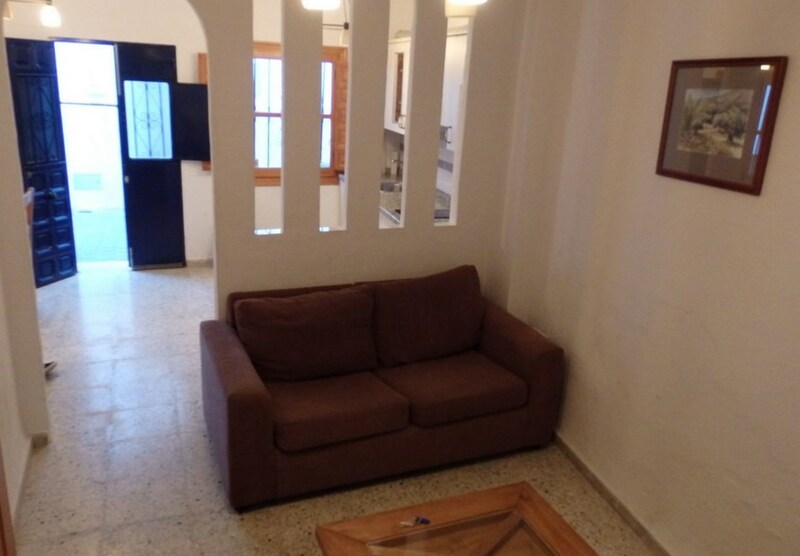 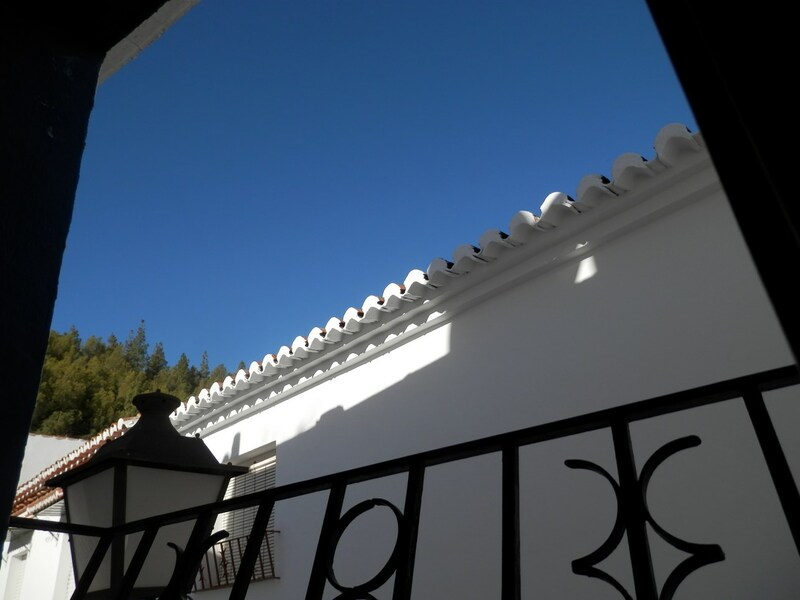 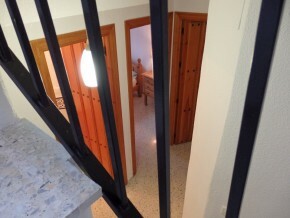 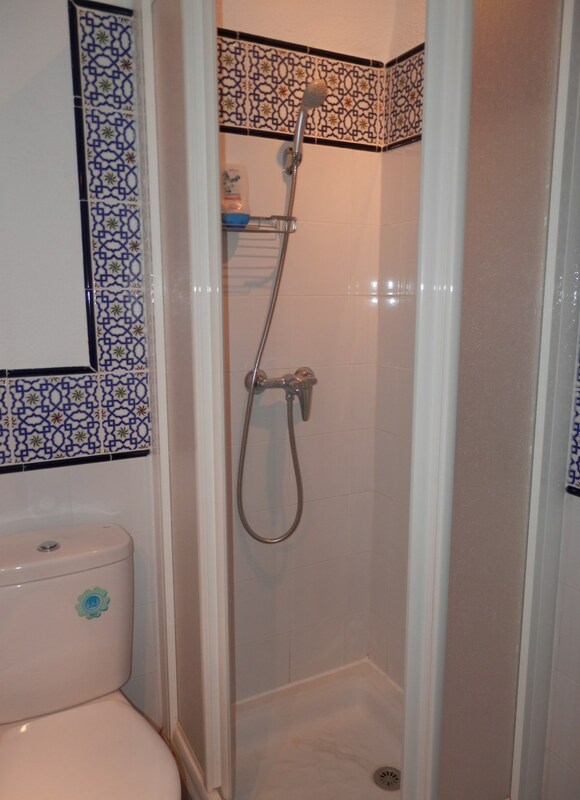 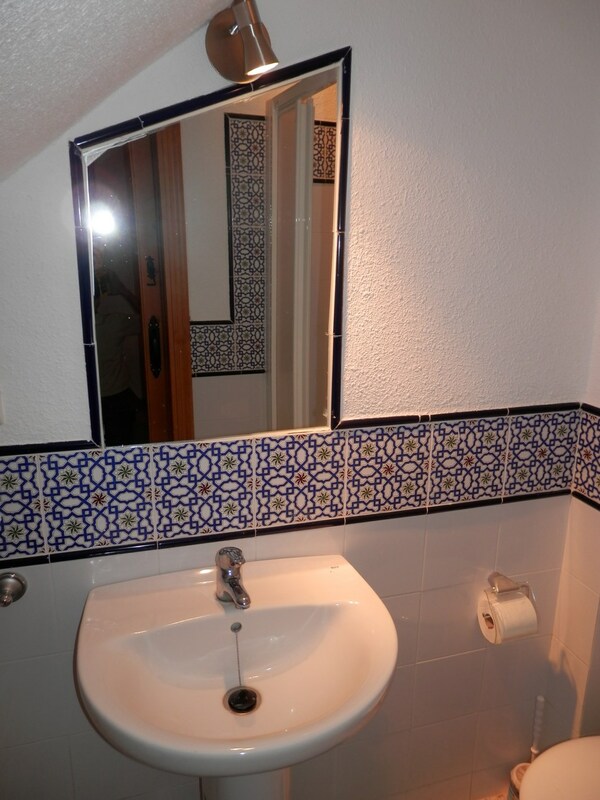 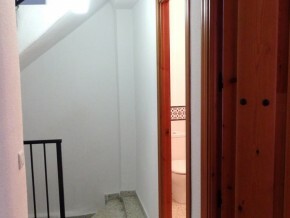 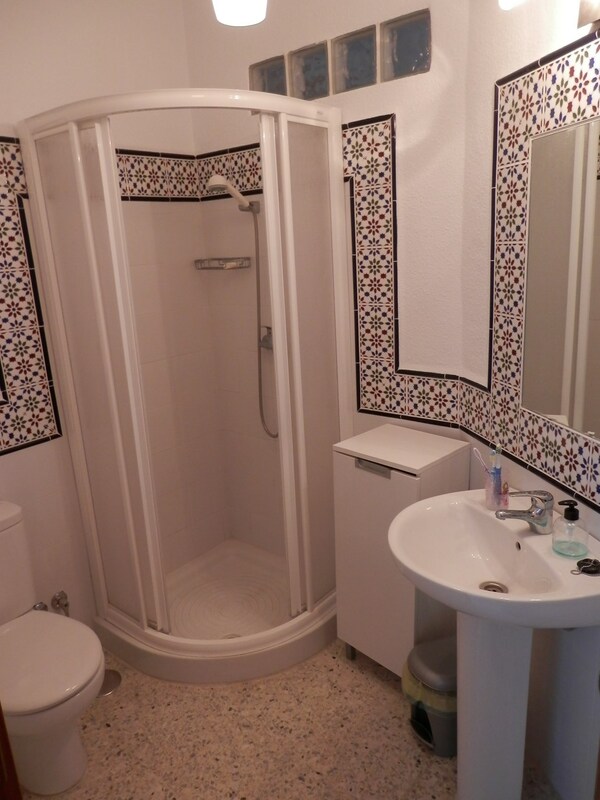 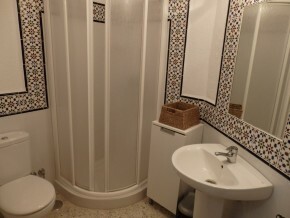 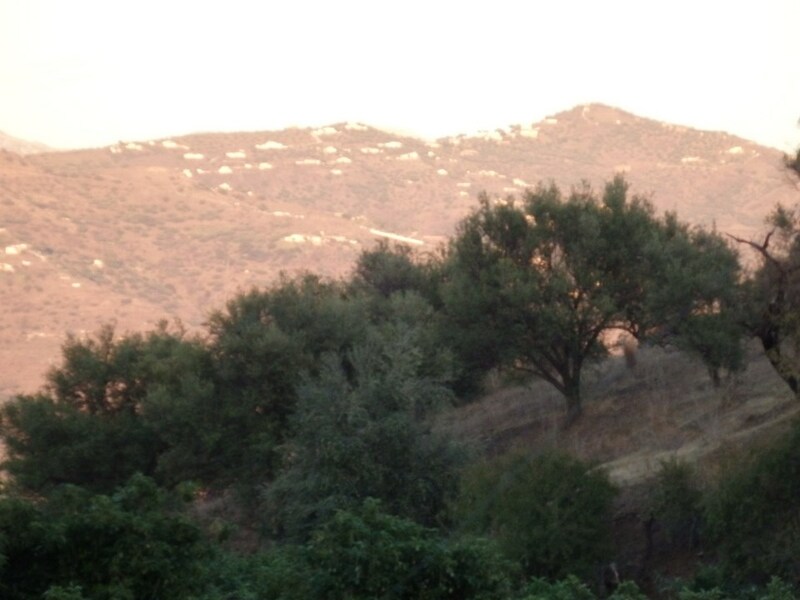 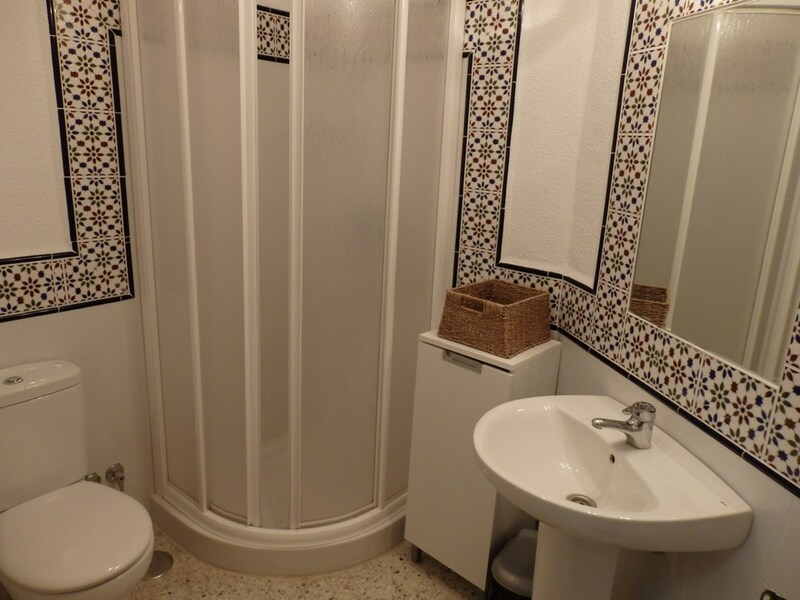 From here, a wooden sliding door leads into a convenient downstairs shower room (2 x 1.25m, with WC, wash basin and shower unit and beautiful, traditional Andalusian tiling). 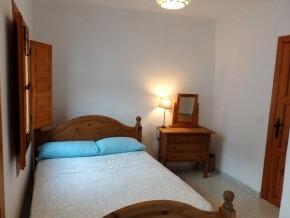 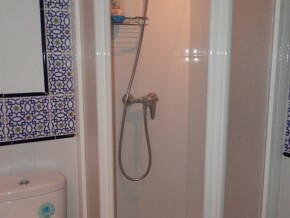 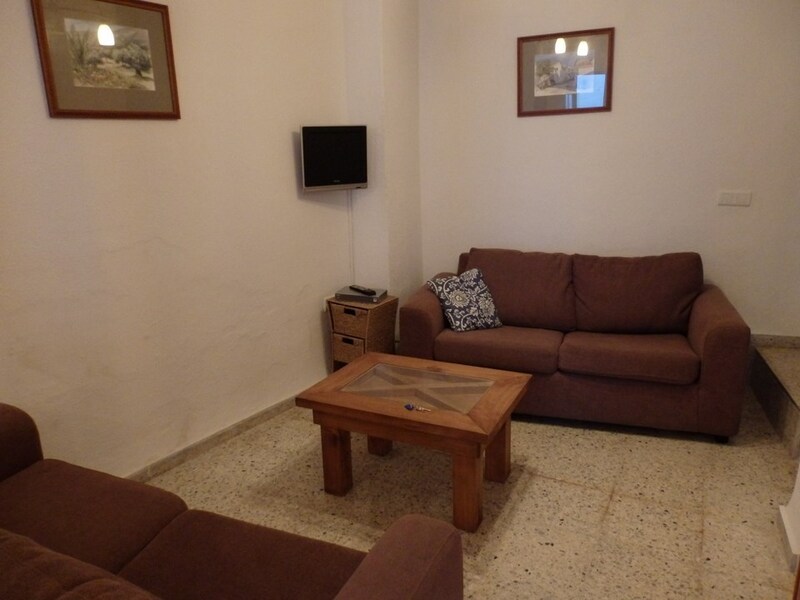 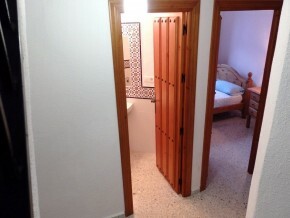 This room can be used as extra accommodation, with the convenience of the downstairs shower room, by having a sofabed. 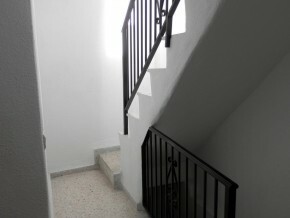 The stairs from the living room lead up to the first floor landing. 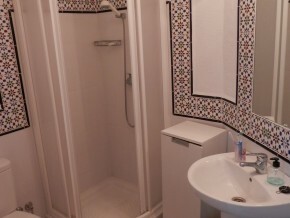 From here to the left is the door to the upstairs shower room (2 x 1.5m, with WC, wash basin and corner shower unit and pretty tiling), and a door to the main, double bedroom (3 x 2.25m plus 2.5 x 1.5m) which fits a double bed, double wardrobe and bedside table and has hot/cold air conditioning. This room has two sets of windows overlooking the street. 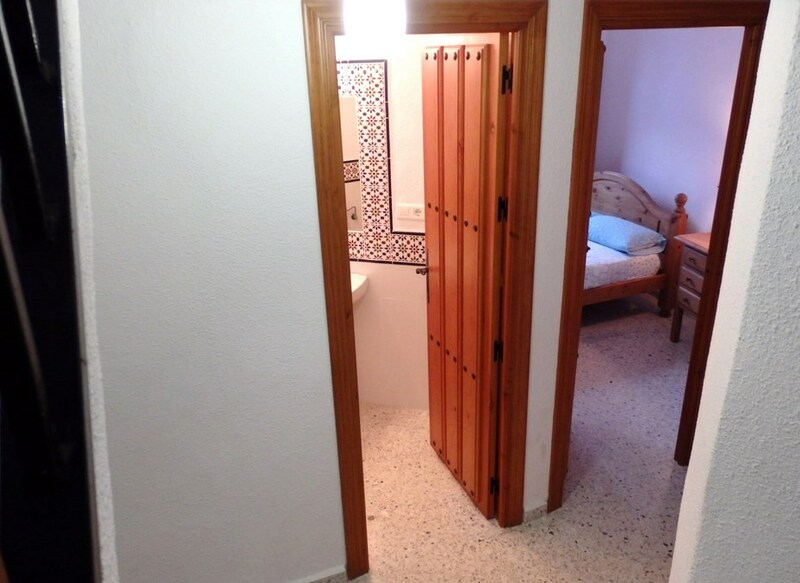 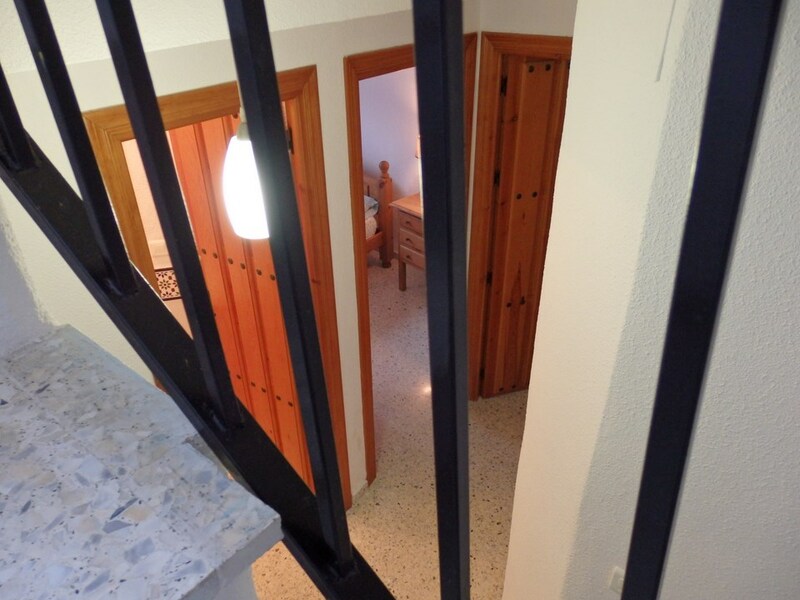 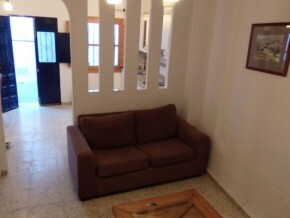 Also from the landing is a door to the single bedroom (2.25 x 2.25m approx.) 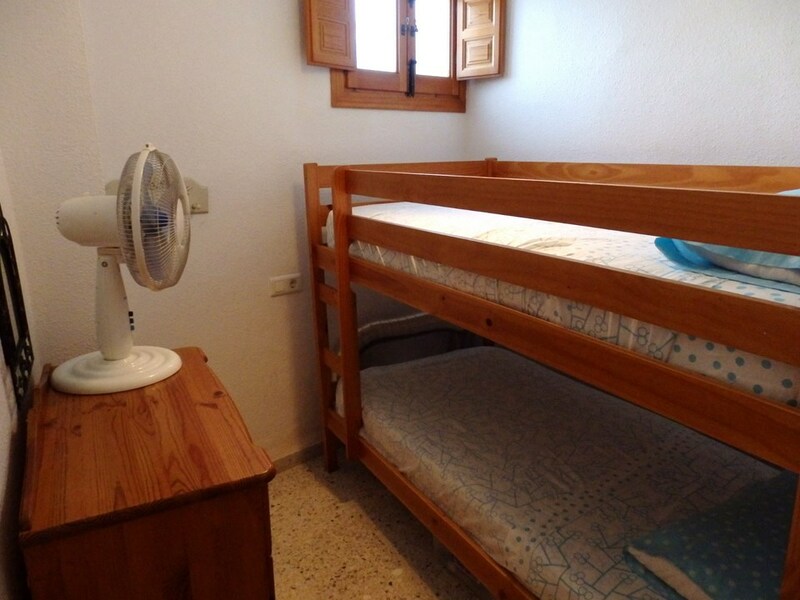 currently furnished with bunk beds and a chest of drawers. 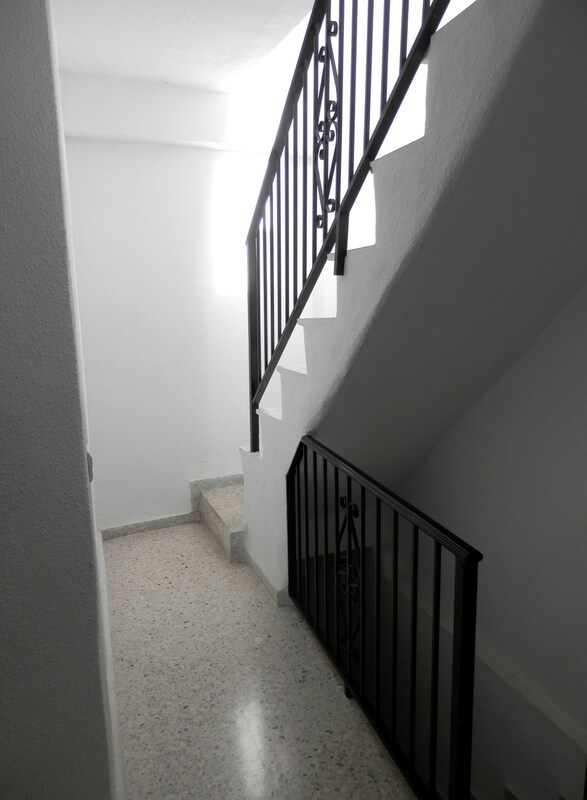 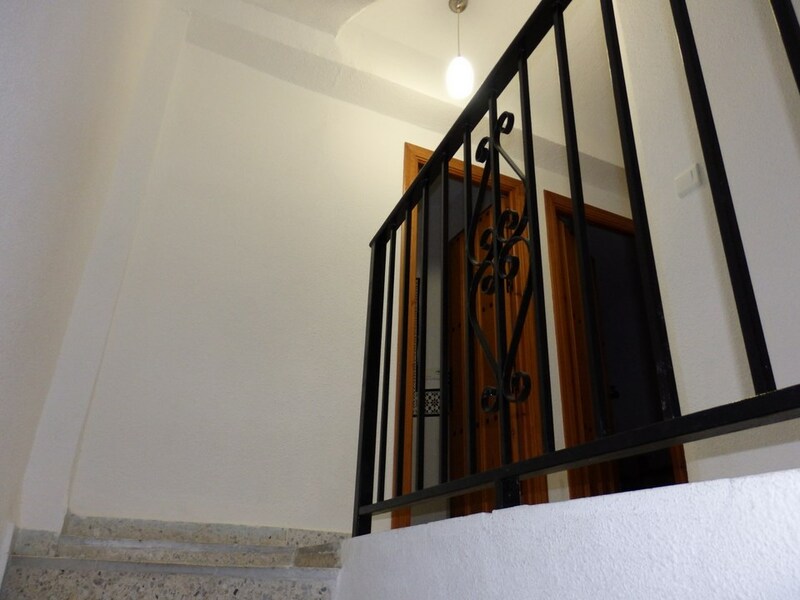 There are stairs from the landing leading up to the roof terrace, with a glass door to allow in maximum light to the stairs. 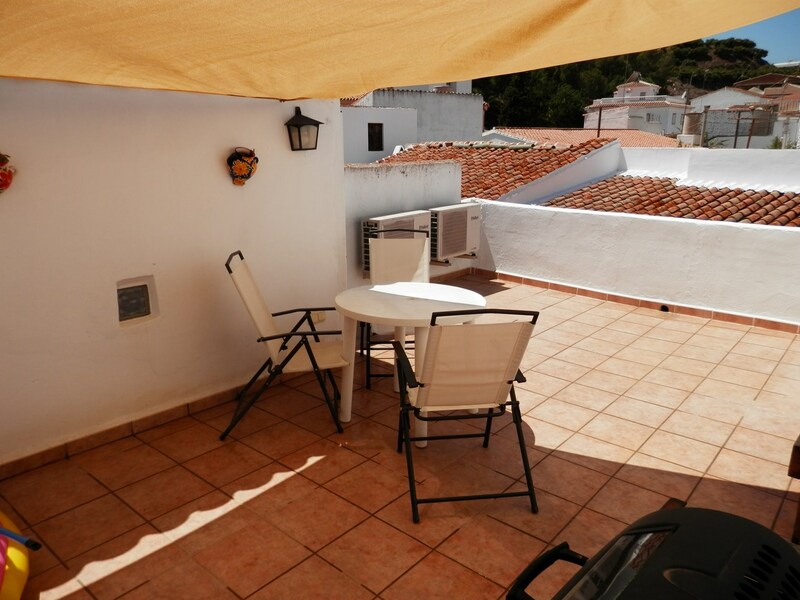 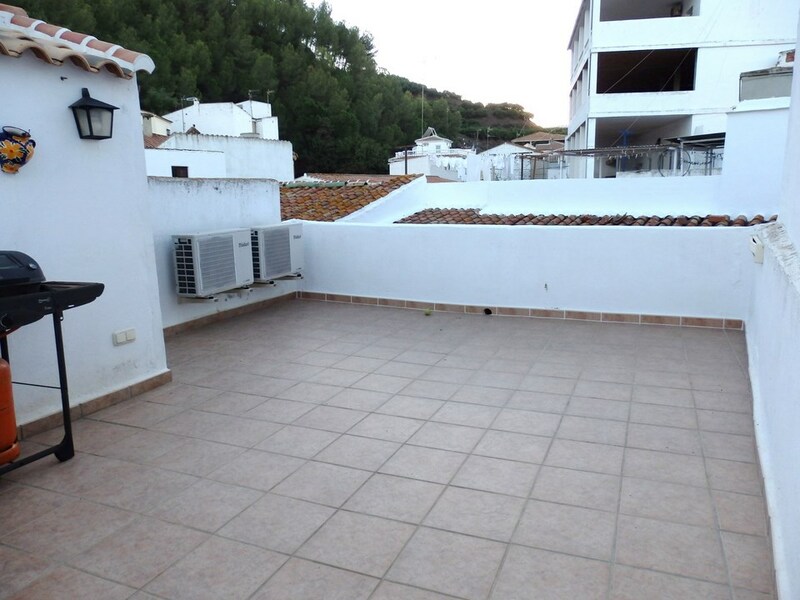 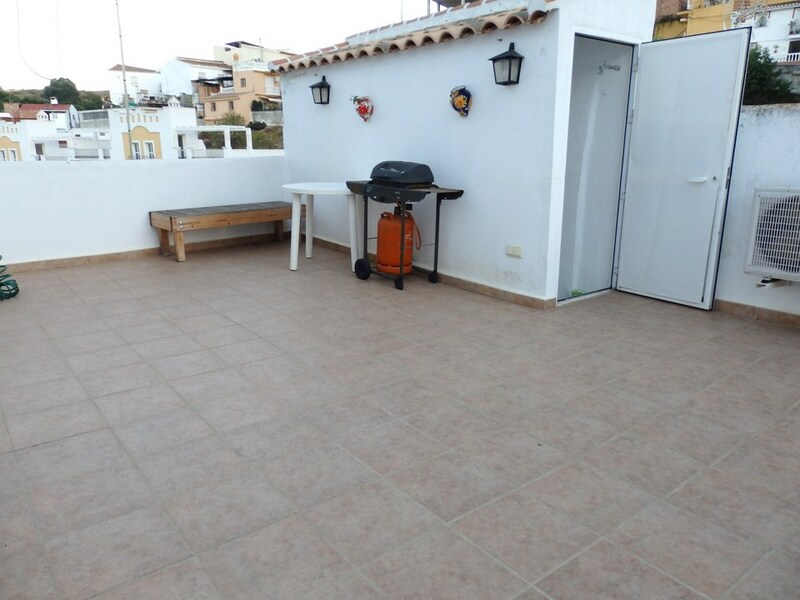 The roof terrace is a generous 7 x 3.5m plus 3 x 1m (total around 28m2) and it has a water hose for watering pot plants or filling a children’s paddling pool and plenty of space for outdoor eating, barbequing and general enjoyment! 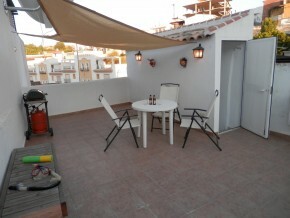 There is a made-to-measure ‘sail’ for providing shade in the Summer. 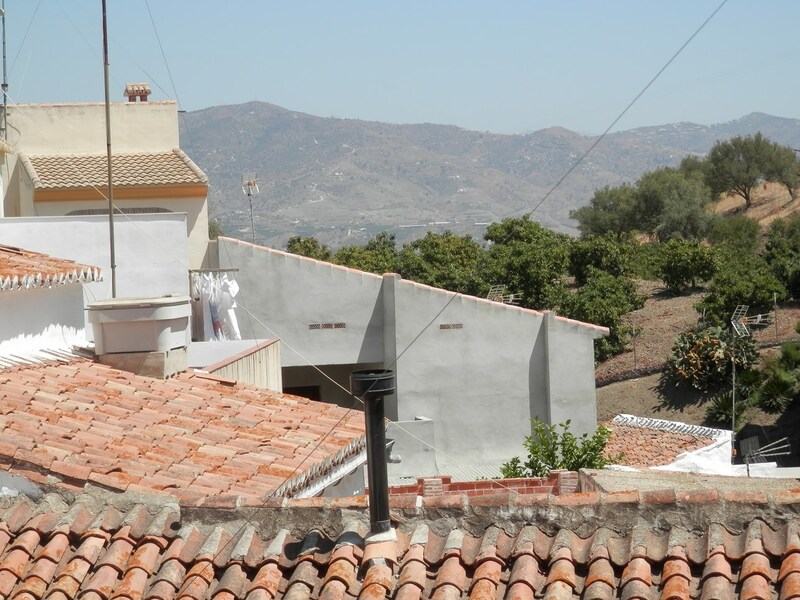 The owners of this house have enjoyed it fully every Summer since they renovated it and are now finally putting it on the market as their children are now growing up! They have also covered much of their costs in out of season rentals. 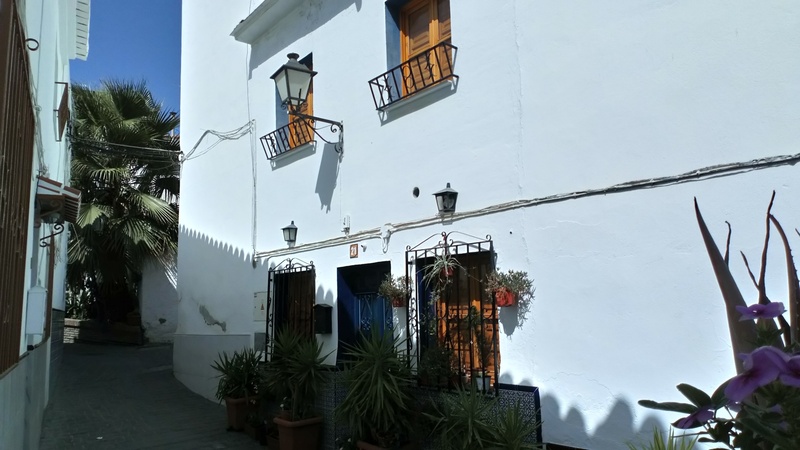 There is a mortgage on the property of approximately 50,000 Euros, which could be taken on if required, hence saving expensive mortgage setup costs. 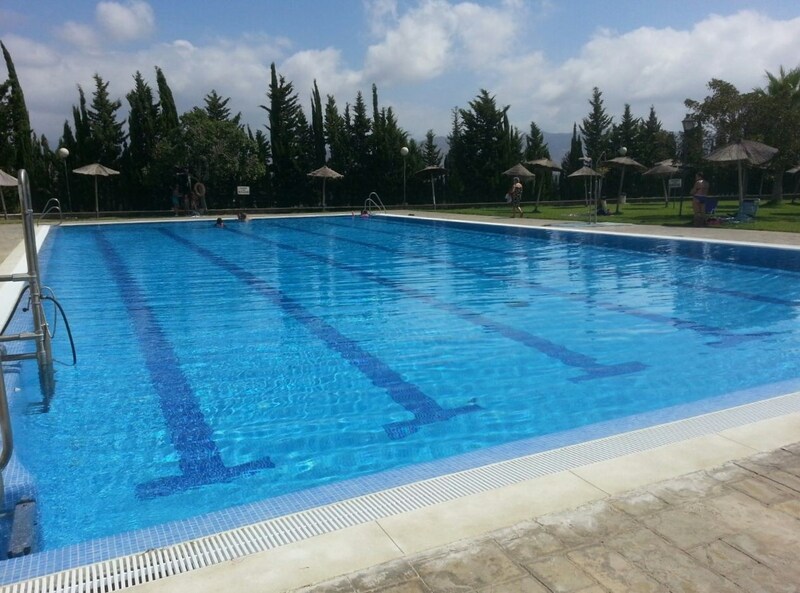 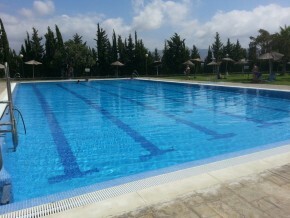 The village of Benamocarra has many shops, bars, restaurants and a fabulous village pool open during the Summer (see photo). 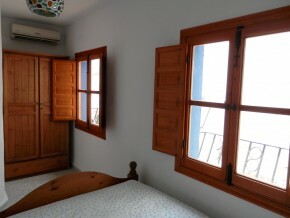 Air conditioning in downstairs kitchen/diner and main bedroom. 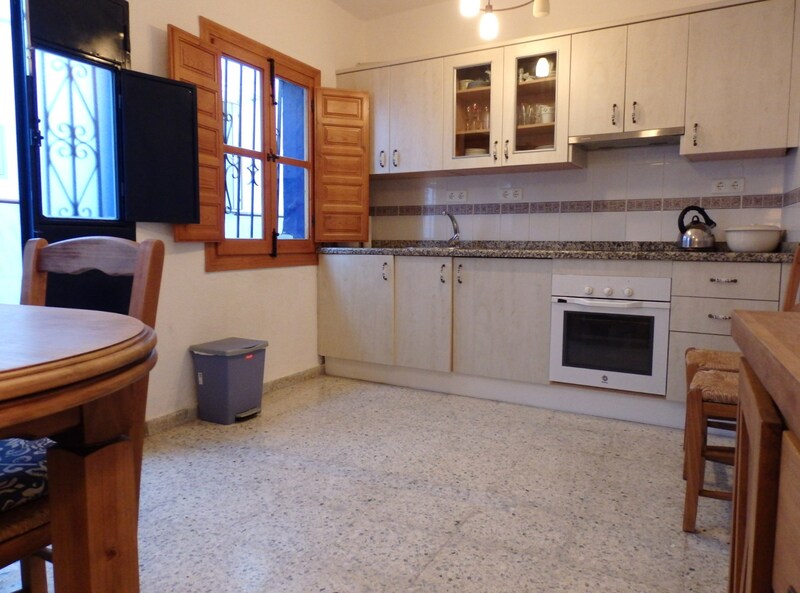 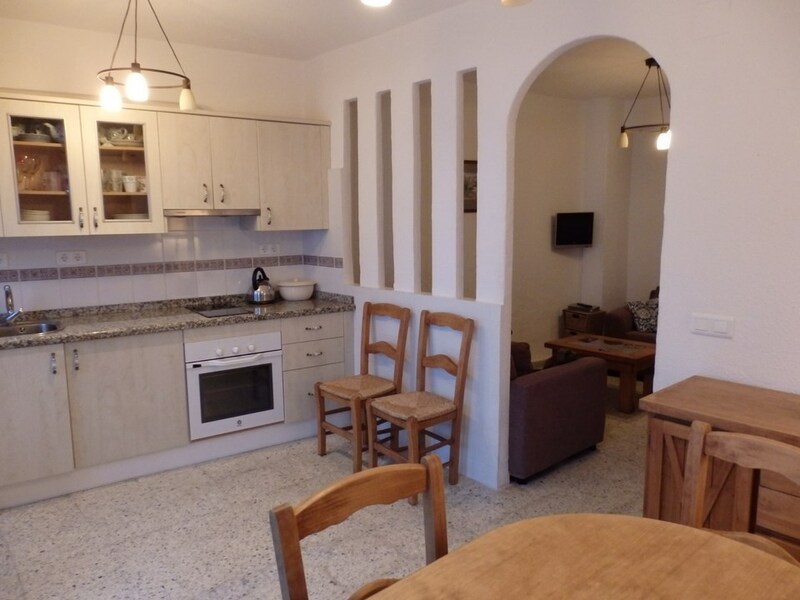 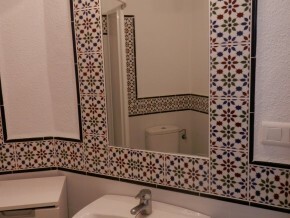 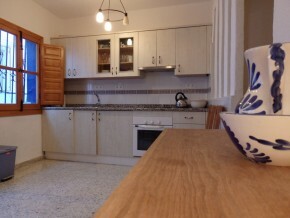 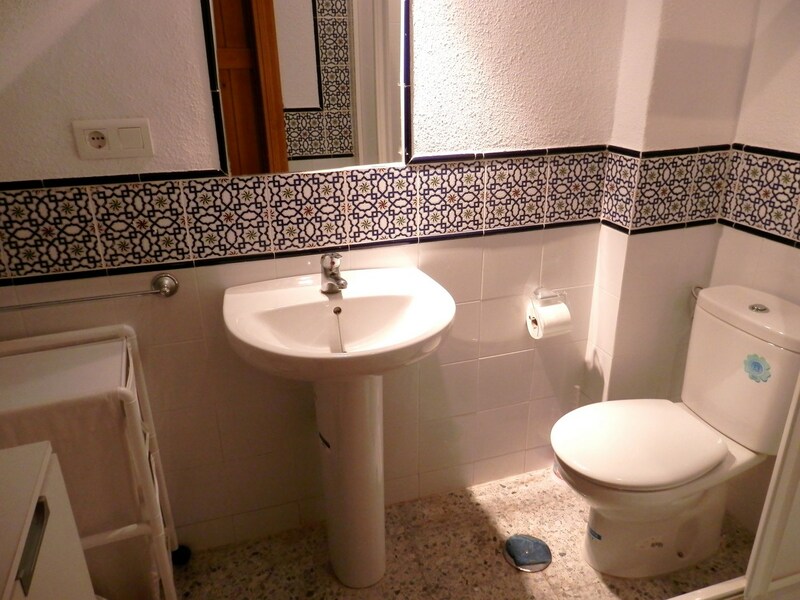 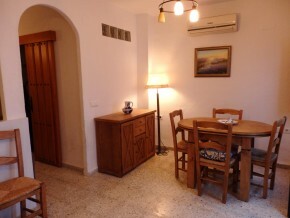 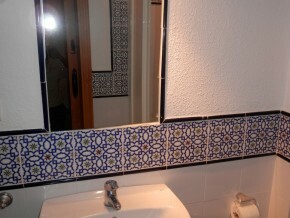 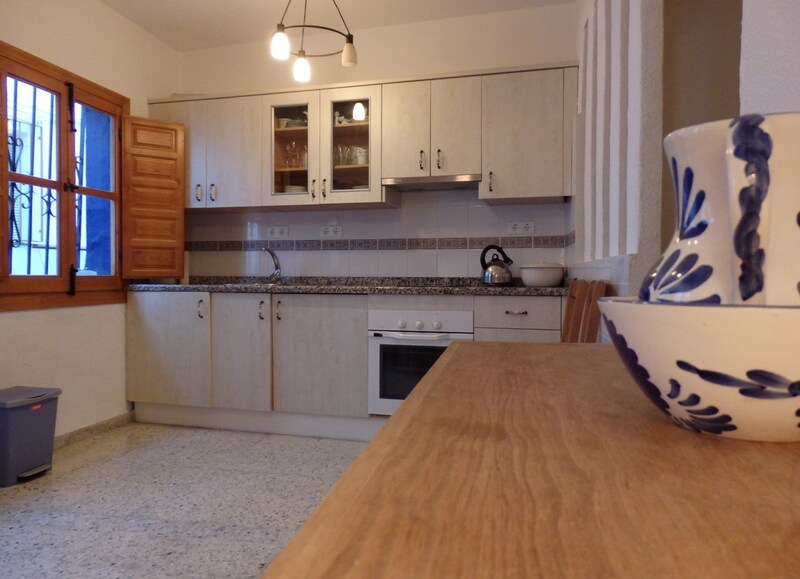 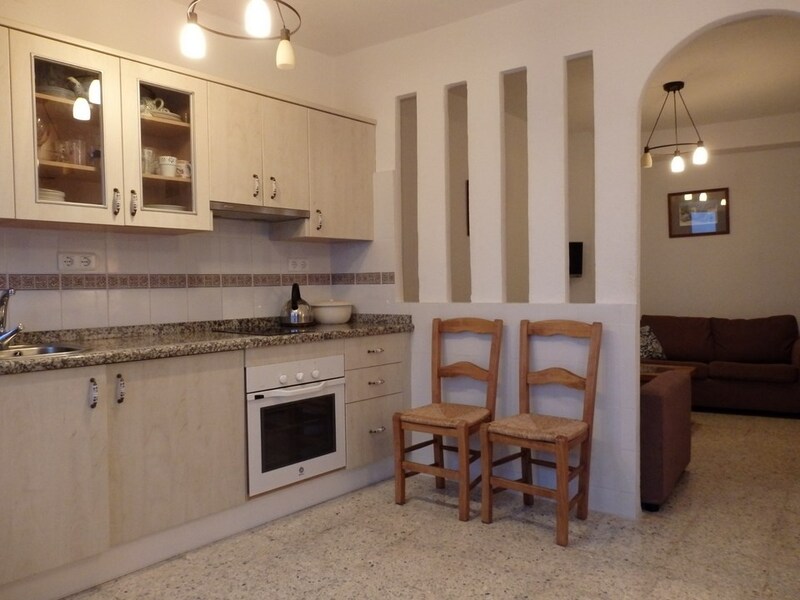 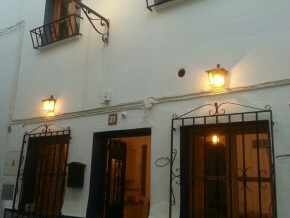 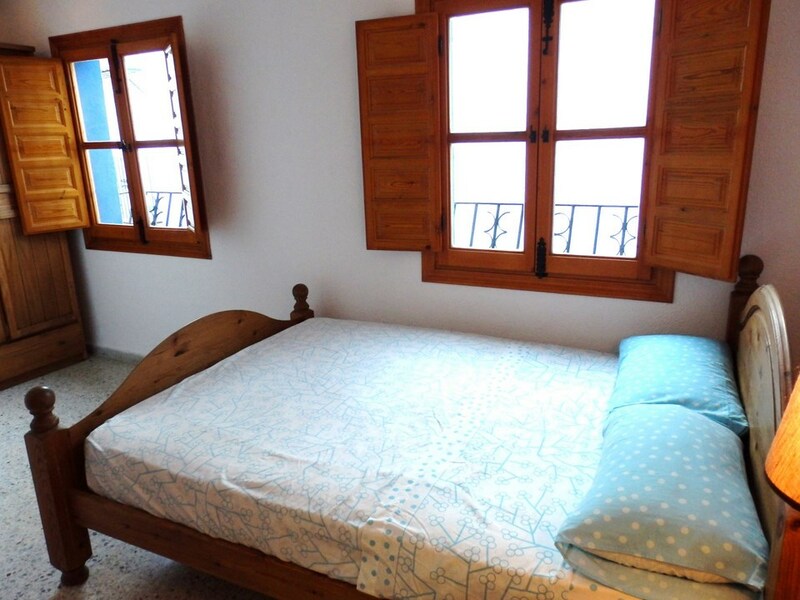 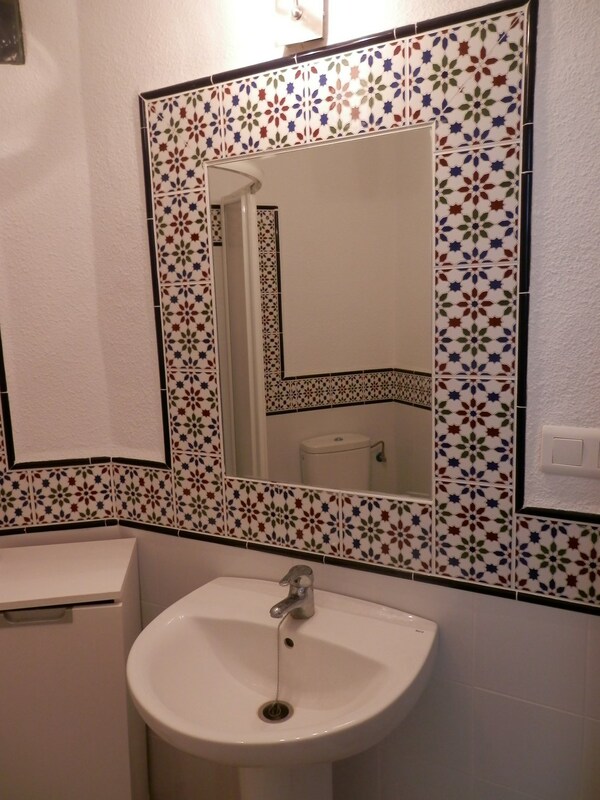 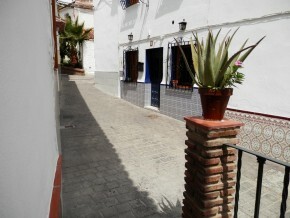 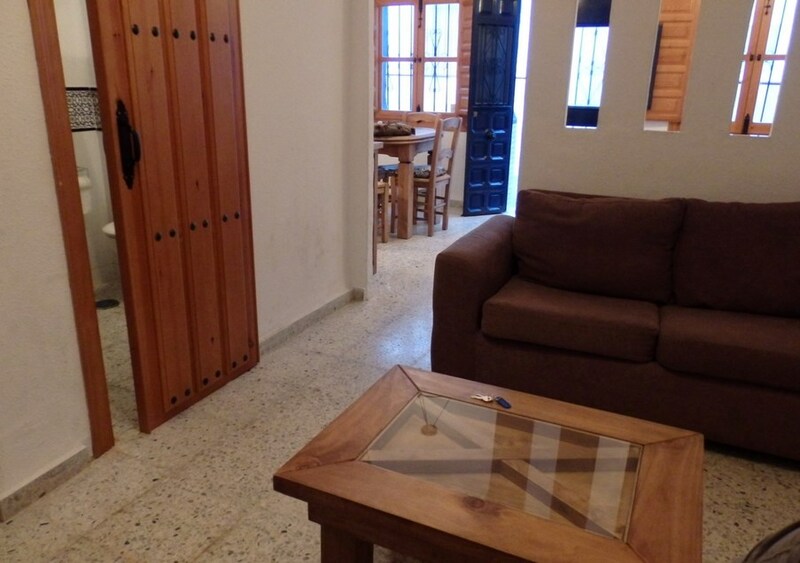 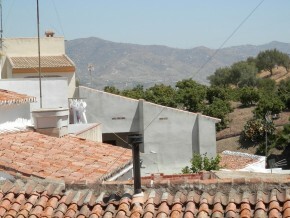 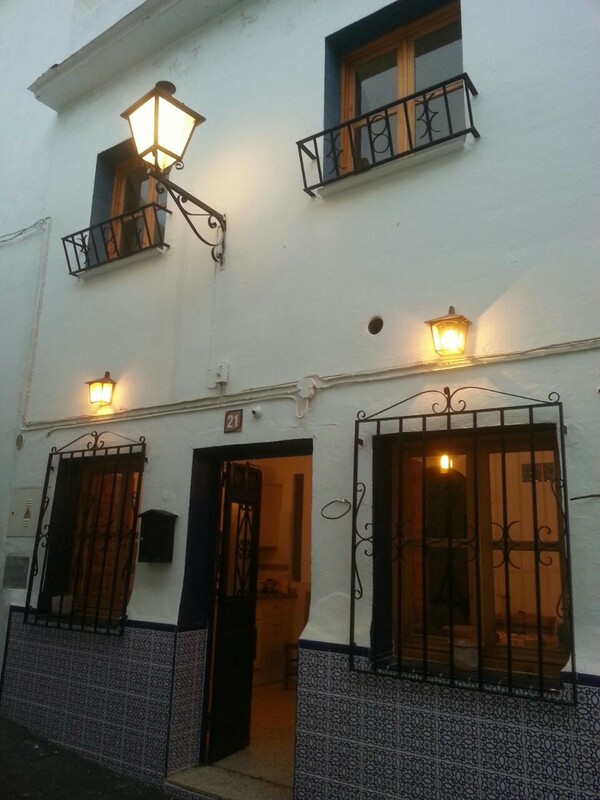 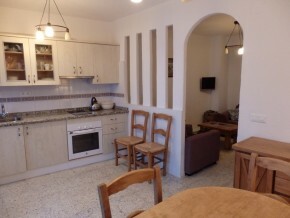 Pretty traditional features such as wooden windows with shutters, original floor tiling and Andalusian bathroom tiles.